At least 32 people have been killed and around 50 wounded in fighting with strongman Khalifa Haftar's troops near Tripoli, the UN-backed government said. Health minister A'hmid Omar gave the updated death toll in an interview with Libya's Al-Ahrar television station late Sunday. Haftar's forces have so far said 14 of their fighters have died. 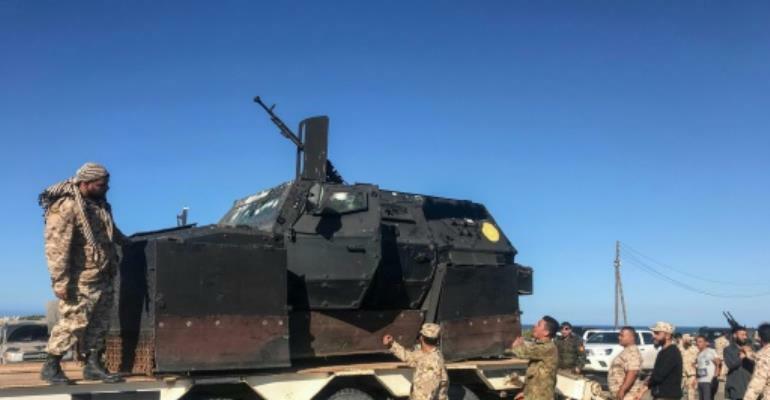 Fierce clashes raged on Sunday near Tripoli between pro-Haftar fighters and troops loyal to the internationally recognised Government of National Accord (GNA). The two sides also exchanged air strikes days after Haftar -- who backs an administration in eastern Libya opposed to the GNA -- launched an offensive Thursday to seize the capital. The clashes came despite calls by the United Nations and the United States for an urgent ceasefire. Pro-GNA forces on Sunday announced a counteroffensive named "Volcano of Anger". Spokesman Colonel Mohamed Gnounou said the operation was aimed at "purging all Libyan cities of aggressor and illegitimate forces", in reference to Haftar's fighters. Libya has been riven by divisions since the NATO-backed uprising in 2011 that killed dictator Moamer Kadhafi, with rival administrations and armed groups vying for power and control of the country's oil.